And this is one of the results. 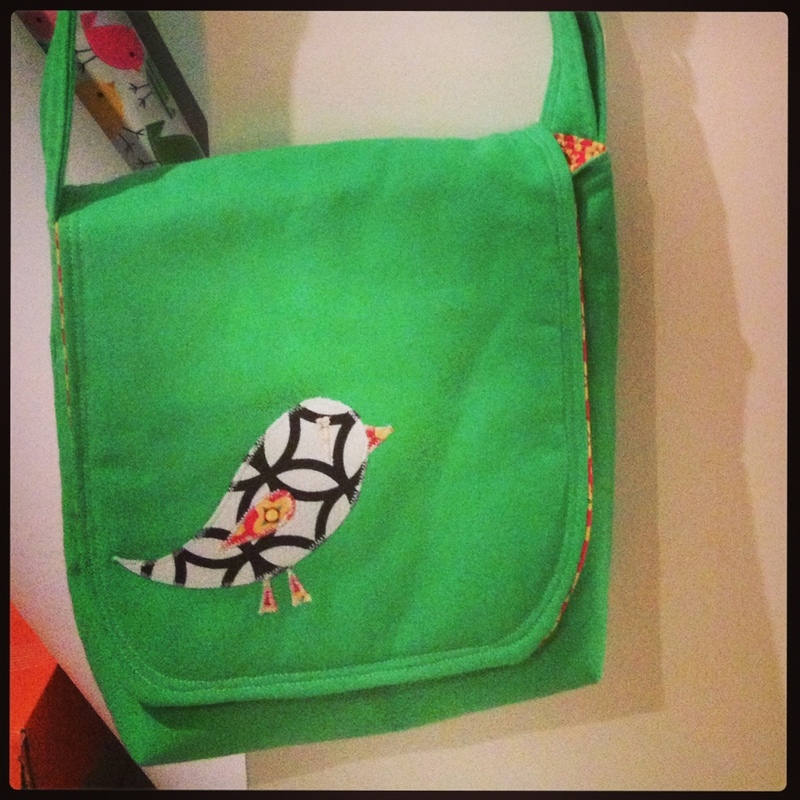 A cross- body bag with a flap, and a little bird appliqué – padded but with a soft bottom. Big enough for wallet, keys, phones, etc, but not too big. The perfect bag for the weekend and the casual wardrobe. Yep – I think I will make more of these! Ooh, I like this!! Pattern?? I am hoping to put it together in the next week or so – stay tuned!